Two amazing words that will change your world forever. While your bundle of joy is growing, you have 9 short months to think about and prepare for their arrival. You may have thought about names and paint colors for the nursery, but are you prepared for the event that will bring your baby into the world: labor and birth? We understand that the thought of labor can be overwhelming and scary and we are here to help! Doulas of North America (DONA) International defines a Doula as "a trained professional, who provides physical, emotional, and informational support to a mother before, during and shortly after childbirth to help her achieve the healthiest, most satisfying experience possible." Your birth doula is not a medical doctor. She is not a midwife. She is your essential support system during one of the most exciting and challenging times of your life! It is the goal of most parents is to have a healthy mom and a healthy baby. Our clients want the best evidence based care for themselves and their children. Doula support during labor and birth has been shown to improve outcomes for both mom and baby. Research has shown that there are many benefits to hiring a doula for your birth. *Doulas increase your chances of having a physiologic vaginal birth. *Having a doula present lowers the risk of caesarean birth by 30% and lowers the risk of induction by 40%. *Doulas can help shorten your labor by up to 25%. *Having a birth doula present decreases the risk of your baby spending time in the Special Care Nursery, increases newborn APGAR scores, and leads to fewer NICU admissions. *Doulas increase the rates of breastfeeding initiation and long term breastfeeding success. *Having a doula decreases the use of drugs in labor, including Pitocin, narcotics, and epidurals. Despite using less medications women who use a birth doula report being more comfortable and having less pain. *Parents with doulas report higher levels of satisfaction with their birth experience and lower rates of perinatal mood disorders. *Parents who use a doula also report that they have a stronger bond with each other and their newborn. "Birth is not only making babies. Birth is about making Mothers- strong, competent, capable mothers who trust themselves and trust their inner strength." Isabelle and Sydney have a unique approach to attending births as doulas. Their birth doula care brings with it three exceptional components: partnership, experience, and reliability. Together, they have 12 years of experience and have attended a combined 150 births! 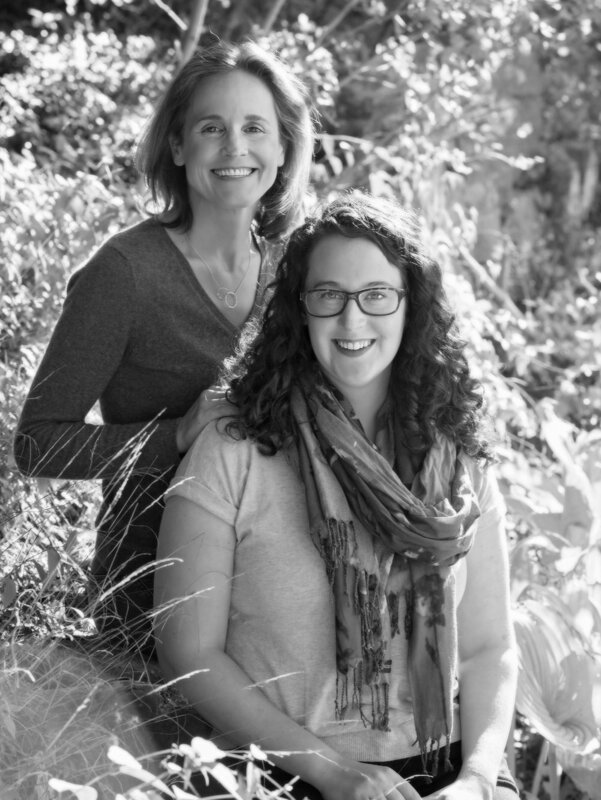 Their unparalleled team approach to doula support means you’ll work with both Birth Mavens throughout your pregnancy, labor, and delivery. No back-up doulas. No unexpected surprises. You will know the women supporting you as you birth your baby. When you choose to have The Birth Mavens, you are guaranteed to have someone there to support you for the duration of your labor. If you are planning to labor at home (or give birth at home), they will meet you there! If you choose an induction, they will see you at the hospital. You are guaranteed to get professional doula support through the duration of your labor, no matter how long it lasts and no matter where the journey will take you. When you choose The Birth Mavens to support you for your birth, you also get the added benefit of the extensive postpartum, lactation, sleep and educational services. “Sydney was with us from triage to birth giving wisdom and insight through each twist and turn that happened. She always made us feel at ease. Explaining clearly what was happening to our baby in labor, in each intervention and monitor, and what was happening with the doctors and nurses, even when we had a hard time verbalizing our questions ourselves. In addition, what I can only describe as the scariest moment of my life watching our baby's heart rate drop just before the doctors ran in and announced plans for an emergency C-section, she was a calming force assuring us that everything would be fine. Call or email us today to learn more about how our birth doulas can support you!